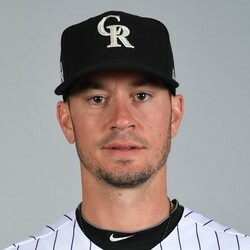 Chris Rusin was called in for the ninth on Friday as the Rockies downed the Braves 11-5. He gave up four hits, three earned runs, one walk and punched out one. Luckily for Rusin and the Rockies they had a massive lead. His pitches were getting picked up left right and centre and he walked one for not-so-good measure. The silver lining is that he got a K on the last batter. His ratios hold at a disgusting 7.02 ERA and 1.58 WHIP through 42 1/3 IP. Only the bold and desperate need use him at this point in the fantasy season.